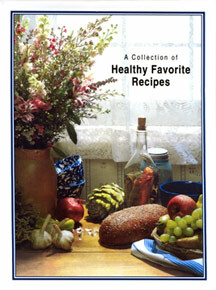 A healthy cookbook created by friends of New Dimensions and friends of Jason Gould. Anyone wanting delicious healthy recipes! To share healthy recipes that are lower in fat and sugars. A beautiful 3-ring binder - you can add your own recipes. Nutritional information included for each recipe! Great for healthy eating and losing weight! 100% of sales go to Friends of Jason Gould Foundation. Find out more about Jason Gould at the Friends of Jason Gould Foundation Website. This incredible cookbook is dedicated to Jason Gould, whose commitment to healthy balanced living is our inspiration. 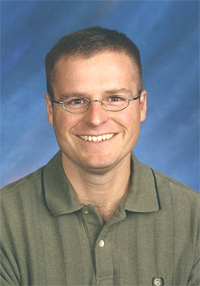 Jason was a teacher, a nature lover, a bright and witty soul who left before his time. Jas was diagnosed with acute leukemia in 2003. After one and a half years in remission, he relapsed in December 2004. He beat leukemia again, but was told that in order to survive, he would need a stem cell/bone marrow transplant. He had the transplant in May of 2005 and was doing fine. A rare viral complication however, brought an end to his courageous battle on January 23, 2006. Live for today - Life is a gift!